You probably recognize this designer thanks to Kate Middleton and her amazing choice of dress for the official announcement of her royal engagement. However, Issa has been around for a while. Founded in 2001 by Brit designer Daniella Helayel the line proves to be the perfect choice for the chic gal looking for an amazingly well constructed and glamorous look. Kenny and I have a formal wedding coming up the weekend of the fourth of July in Puerto Rico and I'm thinking one of these dresses would be a great investment. 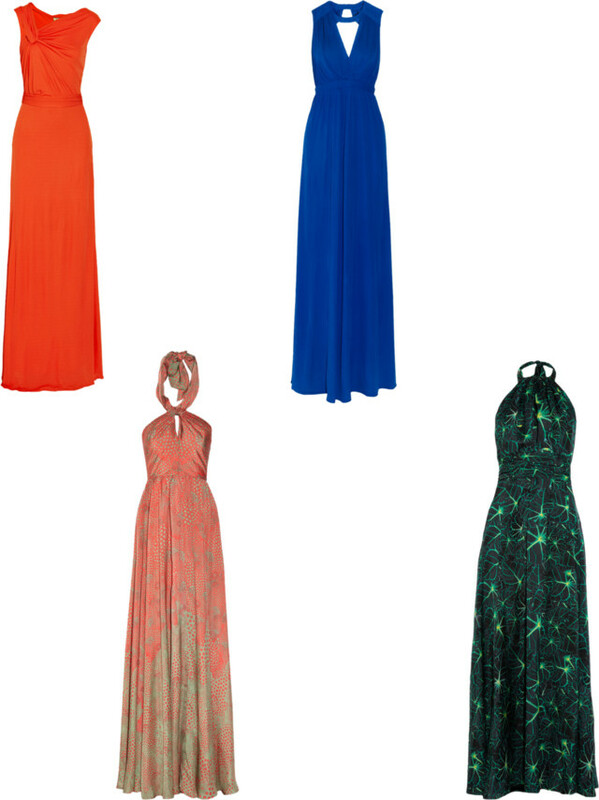 I've been wanting a basic maxi, but I've never thought of fancier versions like these. They're gorgeous! These are so so lovely Viv! Love these! The coral one is my fav! I love Issa! I can't wait until her collaboration with Banana Republic!